As ambassador of the charity SCKIN I get asked to try out lots of fake tans. I like to find the best alternative solution to achieving that bronzed goddess glow, without the need for tanning beds, injections and the harmful rays of the sun. I recently appeared on a show on channel 5 promoting safe tanning to individuals who risk their health daily on sunbeds so I need to make sure I recommend the best products to get them to convert. There are a lot of tans on the market, some good and some bad! Only the good make it to tried and tested and you may find a number of different tans on my blog that I rave about because something that suits my skin may not suit yours. Its all about finding your favorite and Star tanning is a firm favorite of mine. Why is Star tanning different? 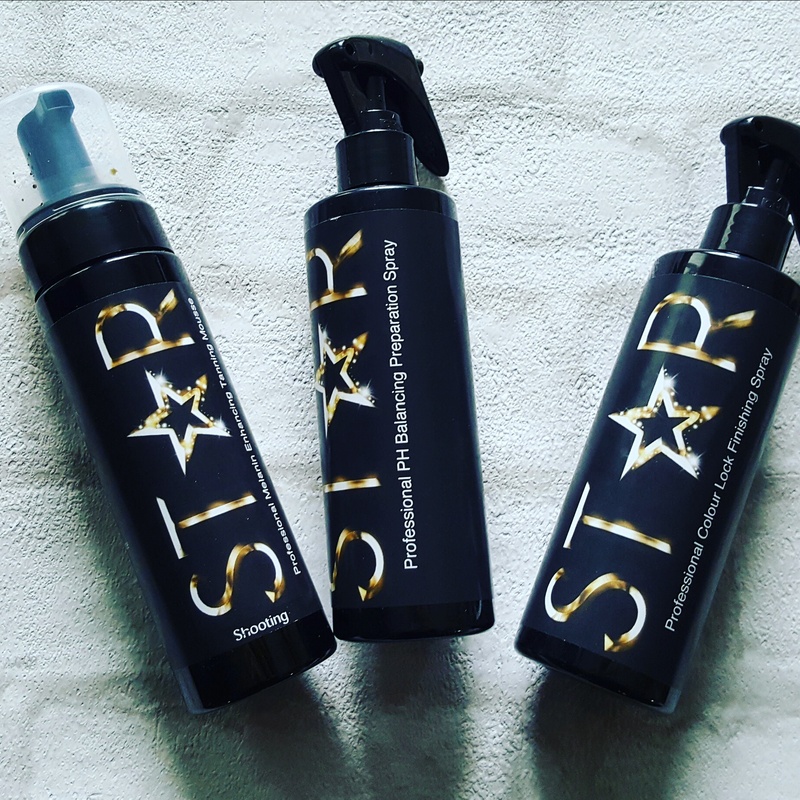 STAR tanning products are the ONLY tanning products in the UK made with 100% NATURAL ingredients; no alcohol, no paraben and no chemicals. They will soon be registered as the only Vegan Safe tanning brand in the UK, an amazing accolade to hold. STAR naturally facilitates the production of melanin in the skin, giving you the most safe and natural tan possible. I can get itchy with tans, my skin does not agree with certain brands and my legs in particular itch like mad. 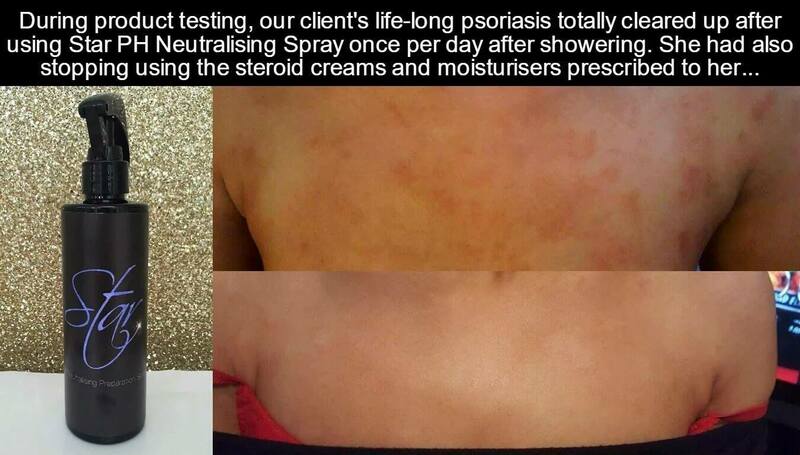 This tan is different, its 100% natural so no nasties that can irritate the skin. 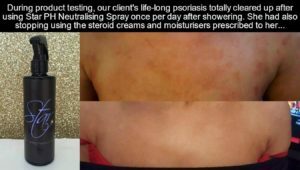 Great news for people with dermatitis or psoriasis who tend to use tanning beds to clear up their skin but are damaging it at the same time off the beds. STAR is designed to penetrate the 3 top layers of the skin epidermis to facilitate melanin production and give a more natural tone rather than dying the top layer of your skin with a “fake tan” colour like all other brands do. STAR removes all the harsh chemicals and alcohol which dries out the skin and causes irritation. The brand has passed safety tests for the UK, Europe and USA as well as being this year’s tanning sponsors for the London “Safety in Beauty” White Party run by Antonia Mariconda. They have a PH Neutralising Spray which helps skin irritations too as shown above and a Colour Lock Spray to prevent transfer onto sheets and clothing…perfect for brides. The scent is fresh watermelon, I wouldn’t say I could particularly smell the watermelon but there was certainly no unpleasant smell. They also do an exclusive scent for guys too, Bleu STAR, which has a scent identical to Bleu de Chanel aftershave and I think i’d of preferred this smell because I just love guys scents. The colour was great, natural and streak free which is what you should expect from tans these days but so many still get it wrong. It faded evenly and didn’t transfer thanks to the Colour Lock Spray. It was easy to apply with a mitt and the consistency is a mousse which I prefer over creams as I just find them easier to apply.